I had been hearing about the Flying Heritage Collection for a few years now. I knew we would get there some day. When you hear chatter like that, you just know there is a trip to Seattle and an air show in your future. Not that it takes too much to convince me. I love seeing them too. So we went to the 1st Annual Air & Ground Show. The Flying Heritage Collection is dedicated to finding, restoring planes from the 1930s and 40s AND returning to them to flying condition. That’s the plane that finally got us there, so let’s start with that. 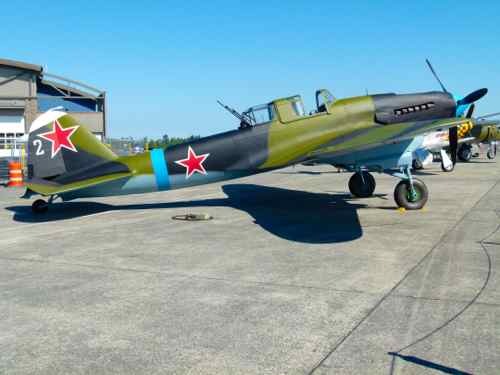 The Ilyushin Il-2 Shturmovik was a Russian ground attack aircraft in use during WWII. It was the single most produced military aircraft design in all of aviation history! In fact it is the second most produced aircraft of all time right behind the Cessna 172. They have a great collection of planes from all over the world.... Britain, Germany, Japan and Russia. Of course there are several great planes from the United States. And a lot of them are pretty rare. 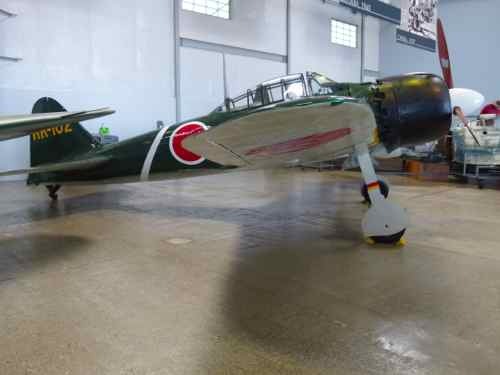 Most of them are meticulously restored, many to flying condition. 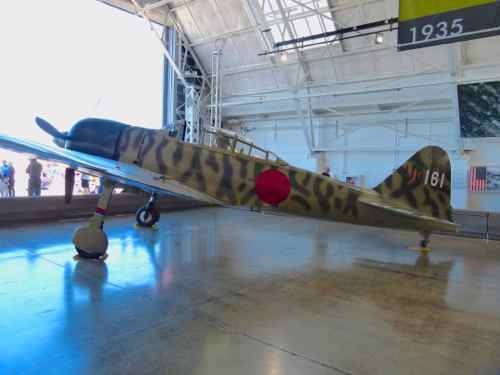 At least I had heard of this plane… but I thought it was called a Me109. I guess I’m not the only one who gets confused. I just read an interesting article about this. The Bf is for Bayerische Flugzeugwerke (BFW) of Germany. The 109 was designed by Willy Messerschmitt at BFW after his Messerschmitt Flugzeugbau company had merged with BFW. At that time the Bf designation was used. The company was later incorporated as Messerschmitt AG with Willy Messerschmitt as Chairman. After this incorporation, the Me prefix was used. ...I think. 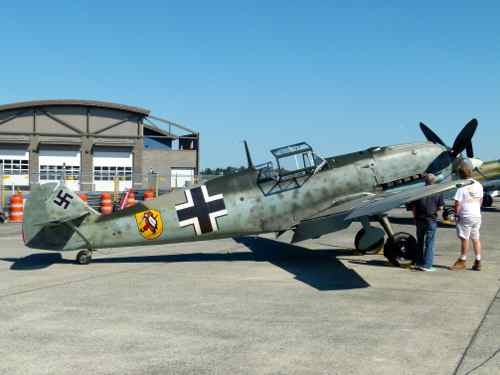 The museum calls theirs a Bf 109, so will we too. 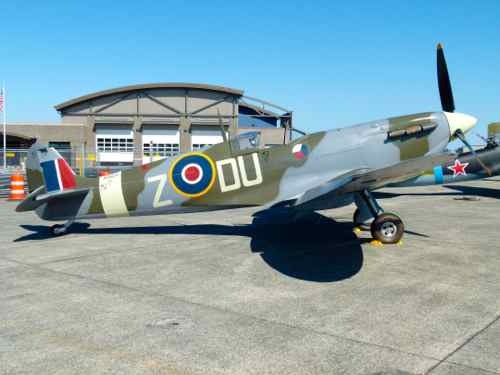 Spitfires are not extremely rare, but you don’t see all that many of them in the U.S. The Spitfire was Britain’s answer to the Messerschmitt Bf 109 (above). We just love seeing them and hearing those Merlin engines when they fly. Not often you see TWO Zeros in a collection. 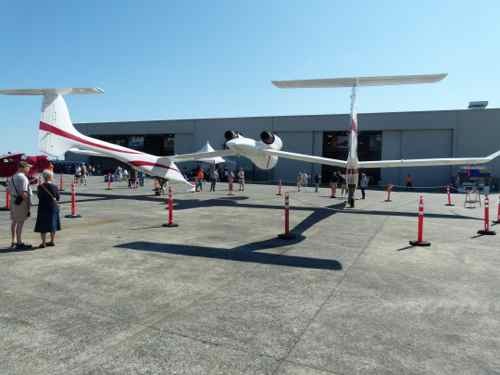 Neither of these flew at the air show, but one is in flying condition. There are only seven surviving Oscars. 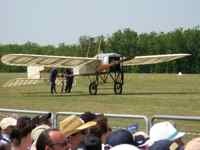 This one was restored to flying condition years ago, but is not currently flying. 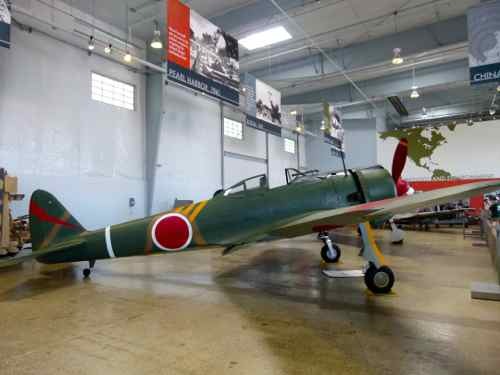 This Japanese figher shot down more Allied aircraft than any other Japanese fighter. In the last months of WWII, many of these were used for kamikaze missions. 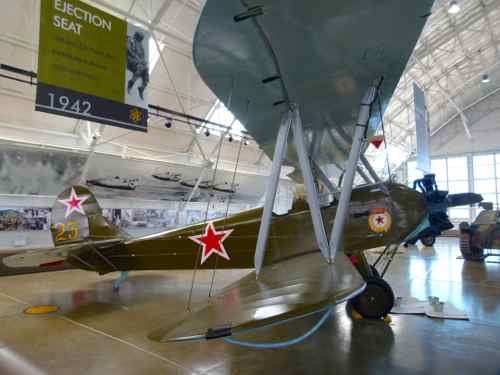 The Russian Polikarpov U-2/Po-2 is another of those “most produced” planes. 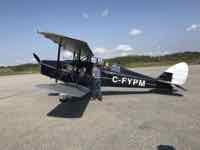 This little biplane is number 10 on the list of most produced planes... right behind the Piper J-3 Cub. I love interesting little facts like that. Interesting bit of history for such a funky little plane, eh? We did mention that there were several U.S. warbirds. 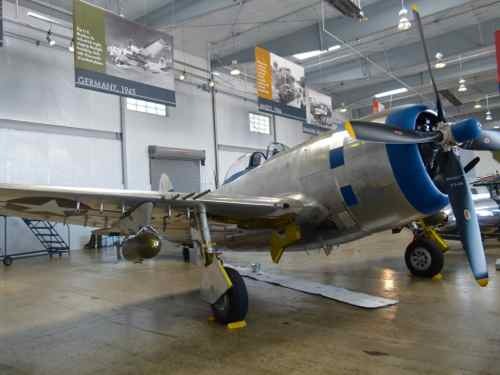 The Thunderbolt is one of our personal favorites because Mark’s Dad flew The Jug in WWII. He also flew other aircraft, but this was his favorite because of the heavy armor and the guns. The White Knight had just arrived at the Flying Heritage Collection when we visited. 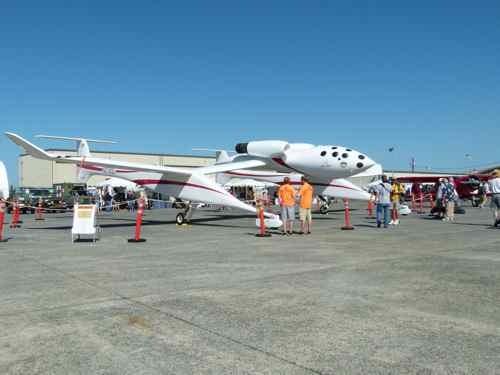 This was the launch plane for Space Ship One…. a reusable, manned suborbital spacecraft. Fun to get up close to it. The flight display was good. 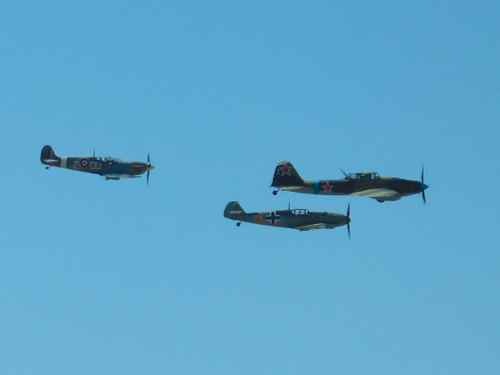 One of the most interesting formations they flew had the Spitfire, the Shturmovik, and the Bf 109 together. Sorry we don’t have a better camera, but maybe this photo will entice you to visit the FHC. Six days a week - Tuesday through Sunday the rest of the year. This is about an hour north of Seattle by car…. there is free parking just outside the hangar facility. Oh, and there is always the option to fly in. See the FHC website for more details.